screen printed shirts | New Image Inc. Right now you can order 100 white t-shirts with a one-color print for less than $4.50 each! If you order 100 white shirts with a one color print, you can get them for $4.47 each, plus get an additional 5-25% off through our November special. This pricing is only valid through 11 am on Monday, November 19, so call or email us today! Pricing based on 100 white Gildan 5000 100% cotton shirts, with a one color, one location print. Price valid until 11 am EST on 11/19/12. Design your shirt here. 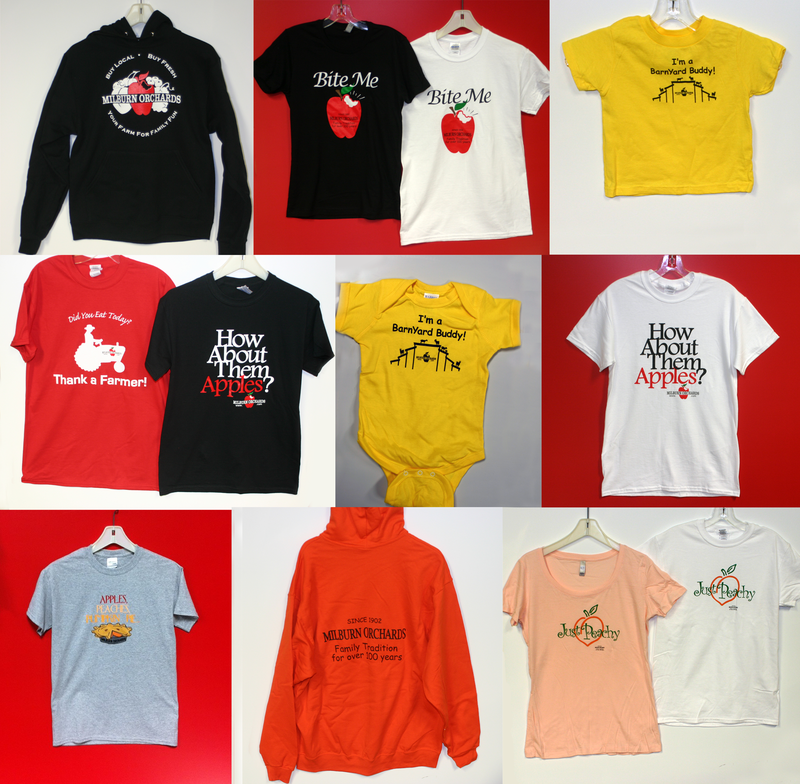 Look at this beautiful collection of items we’ve put together for Milburn Orchards! Milburn’s is a local orchard that has seasonal apple and berry picking, fresh fruit available for purchase, and a bakery that makes amazing apple cider donuts. If you’re looking for something to do, check them out! Visit milburnorchards.com to find out more.